This Yamaha style file uses the tones and drum kits which are available in the Yamaha keyboard Models PSR S970, S770, S975, S775, , S950,S750,S910,S710, A3000, A2000 only. This style may not play the right sounds in other Yamaha keyboard models such s on E-Series or I-Series models. If you want to buy this style for any other Yamaha keyboard model, please contact us before you buy, tell us the model of your keyboard and we will modify the tones accordingly. 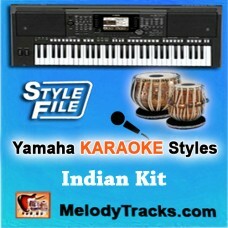 Click HERE to order Yamaha Styles for any Song. Play Demo Singer: Talat MahmoodMovie/ Album: Daag This Yamaha style file uses the tones an.. Play Demo Singer: Kishore KumarMovie/ Album: Kora Kaghaz This Yamaha style file uses .. Play Demo Singer: Rahat Fateh Ali KhanMovie/ Album: Baadshaho This Yamaha style file uses .. 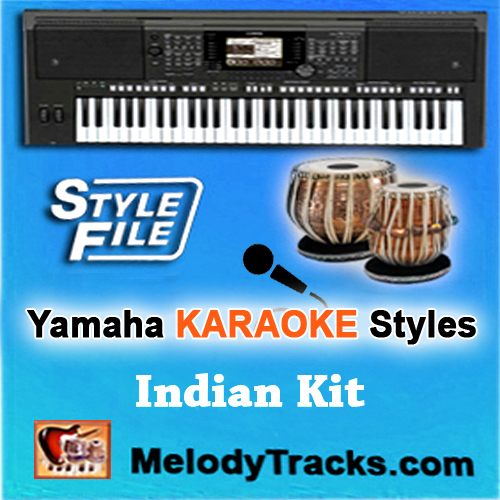 Play Demo Singer: Lata Mangeshkar, MukeshMovie/ Album: Shor 1972 This Yamaha style file us.. Play Demo Singer: Kishore KumarMovie/ Album: Safar 1970 This Yamaha style file uses t.. Play Demo Singer: Lata MangeshkarMovie/ Album: Madhumati This Yamaha style file uses the t.. Play Demo Singer: Kishore KumarMovie/ Album: Khamoshi 1969 This Yamaha style file use.. Play Demo Singer: Geeta DuttMovie/ Album: Aar Paar This Yamaha style file uses the .. Play Demo Singer: Mohammad RafiMovie/ Album: Dil Tera Deewana This Yamaha style file uses .. Play Demo Singer: Muhammad RafiMovie/ Album: Junglee This Yamaha style file uses the tones.. Play Demo Singer: Lata MangeshkarMovie/ Album: Intaquam This Yamaha style file uses the to.. Play Demo Singer: Asha BhonsleMovie/ Album: Mere Sanam 1965 This Yamaha style file uses th..